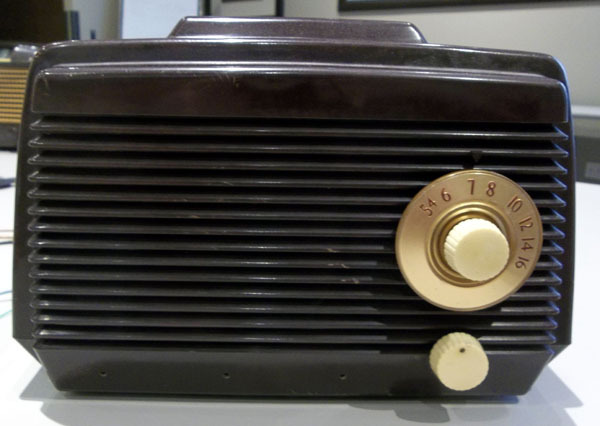 Type: 4 tube, battery operated, superheterodyne radio. 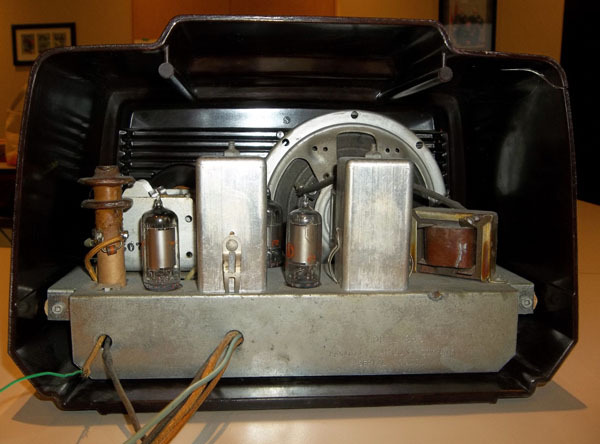 Input power: 1.5 volt 'A' battery . The 'B' battery consists of two 45 volt batteries in series. 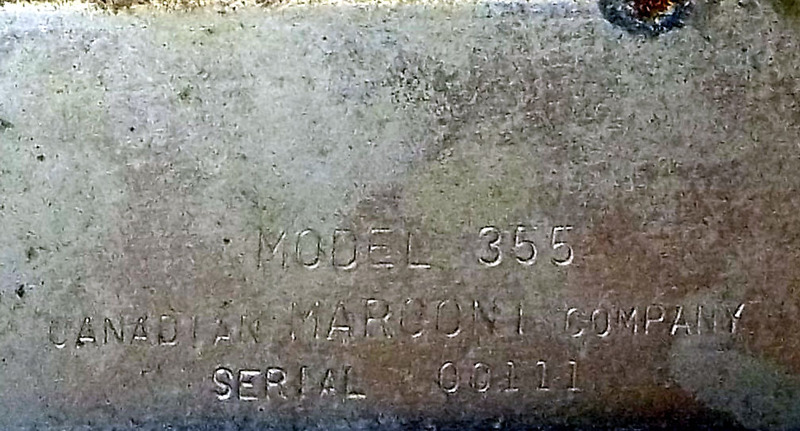 Nearly all Canadian Marconi home entertainment receivers were tagged with a discrete nemeplate except for the Model 355 which had its information cold stamped on the chassis.